St. Francis Xavier’s is a Catholic Community dedicated to providing young boys & girls with an education in a faith filled environment. Our developmentally appropriate curriculum provides a conducive environment for learning. Children have a natural curiosity about their world and their desire to make sense of it provides a platform to construct and review their learning through interactions with others, experimentation, scaffolding, explicit teaching, practice and play in the classroom and beyond. 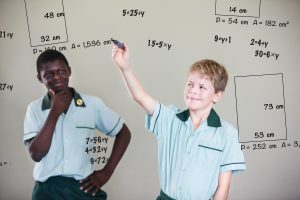 This helps them make sense of a world that is outside their immediate experience, as they connect new knowledge with what they already know or believe. This also sometimes provides an opportunity to challenge what they know or believe. 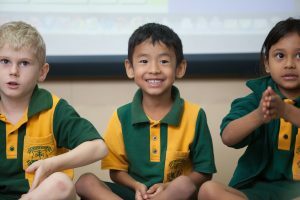 The Australian Curriculum is designed to accommodate the varied learning experiences and diverse backgrounds that children bring to school. 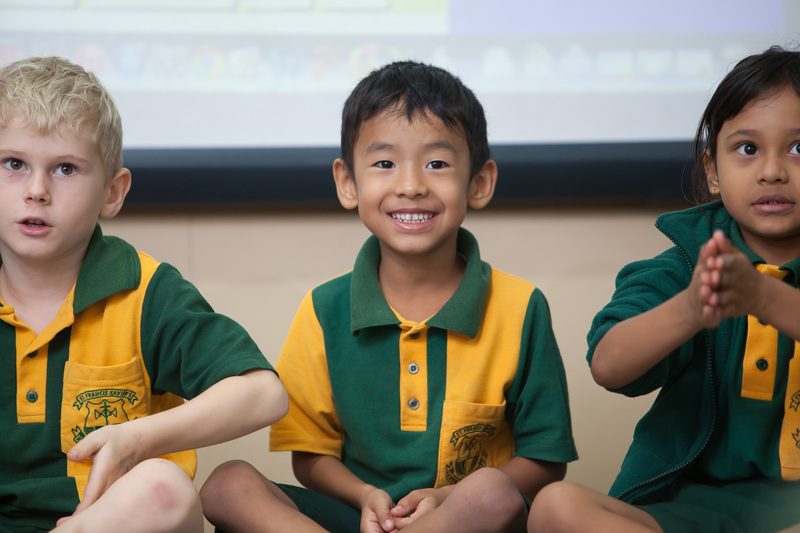 The Australian Curriculum recognises the importance of communication, language and building relationships. It gives priority to foundation knowledge, understanding and skills that all children are expected to develop to enhance their opportunities for continued learning. In these years, priority is given to literacy and numeracy development because these are the foundations on which further learning is built.  A self-directed and reflective learner. interests, needs and abilities of all our students. Continuous monitoring of children’s progress informs our planning. Teachers are supported in providing an exciting and relevant curriculum through staff professional development, networking and collaborative planning time. At St Francis Xavier’s School, we recognise the vital role parents play in their child’s education. Our curriculum is learner centred, collaboratively organised, flexibly constructed, ethically aware, community oriented, adequately resourced and strategically linked. Using these principles we hope to equip all our students with the knowledge, skills and attitudes to function effectively now, as well as prepare them for higher level learning later, in a range of contexts including the school, the community and the world of work.